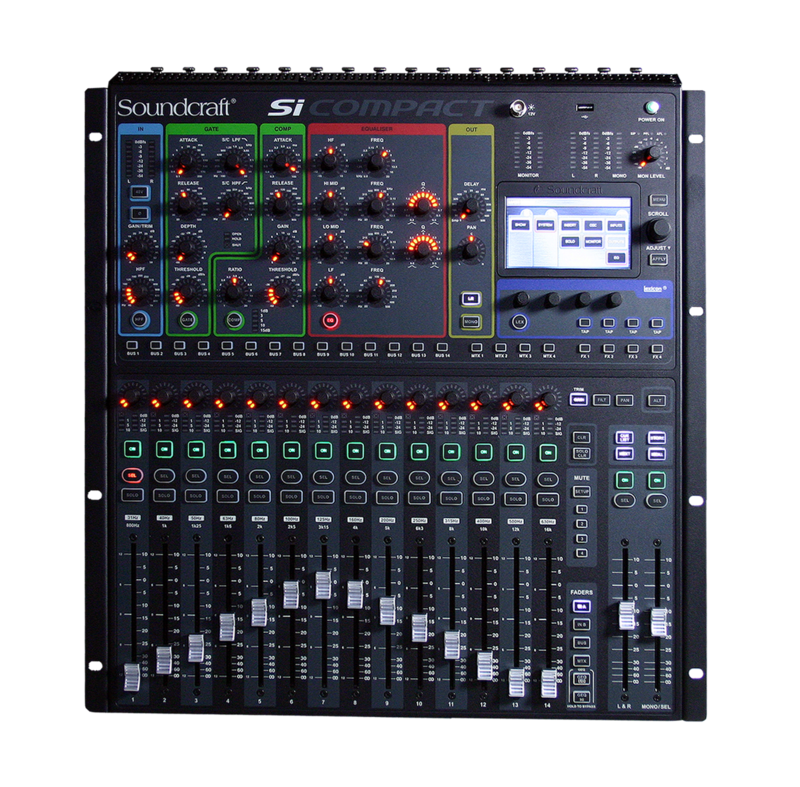 The Si Compact 16 feature 16 recallable mic pre amps plus 4 stereo returns, AES in and 64 input option slot with a capacity to combine up to 32 of these inputs to mix; each input is 'fully equipped' with compressors, gates, parametric EQ, High Pass Filter and delay. 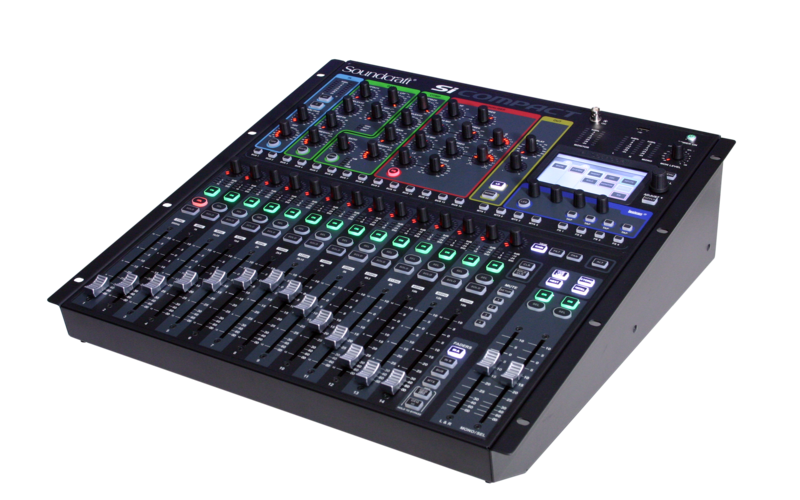 Flexible onboard and expansion I/O options ensure the Si Compact integrates effortlessly with other system components; along with the 16 mic inputs there are two pairs of stereo analogue line in, AES in and out, 16 analogue line outputs, headphone monitor out and a 64x64 channel expansion card slot capable of utilising any of the Si series option cards that includes AES, AVIOM, CobraNet and MADI. The MADI card, as well as being an interface to multi-track recording systems enables linking the Si Compact to the Soundcraft/Studer stageboxes which extend the I/O power and flexibility; but all this power is nothing without control and here lies the core strength of the Si Compact; a comprehensive but 'simple to use' control surface.